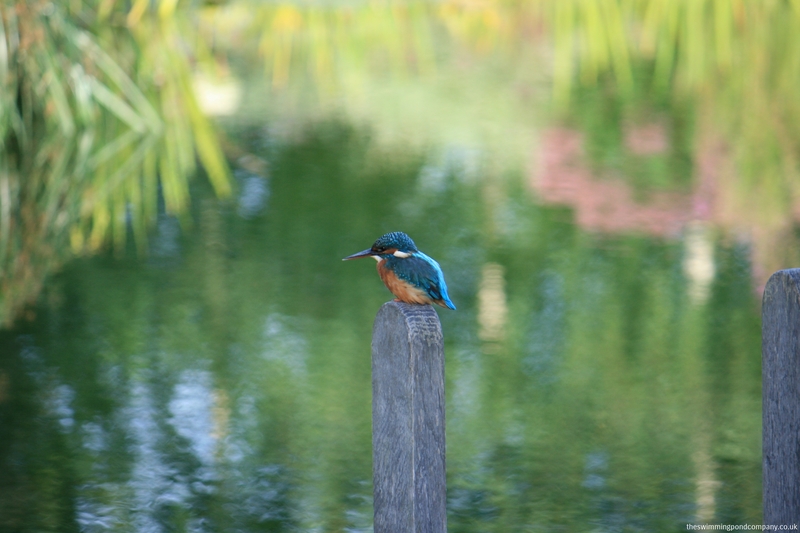 Wildlife - The Swimming Pond Company Ltd.
With the loss of so many natural ponds over recent times, the swimming pond can play a vital role in providing a wildlife habitat. It will quickly become a diverse habitat for animals such as frogs, toads and newts, although any concerns about swimming with amphibians should be put to one side as they will have left the pond by the time the water warms up sufficiently for swimming. To ensure that a successful eco-system develops in and around the swimming pond, plant choice is an important consideration. With concern growing rapidly for the invasive nature of some non-native pond plants, native plants are used predominately and will have a greater ecological impact in the support of native fauna. It is important to note that ducks should be discouraged from the swimming pond at all times. Not only will their excrement foul the water and increase levels of nutrients in the water, but they will also eat the plants that are integral to the success of the pond’s natural filtration system. 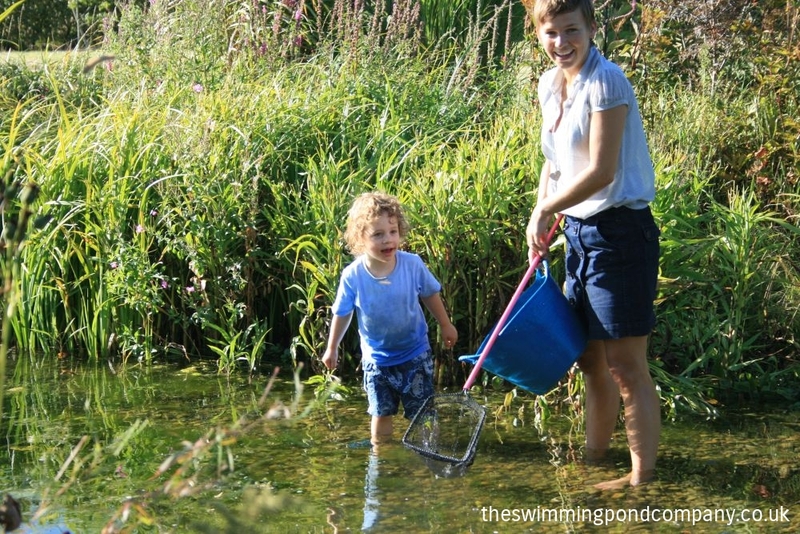 Children will spend hours fascinated by tadpoles, water boatman and the huge array of life which the water supports and will enjoy learning about the ecology of the habitat while having fun. To observe dragonflies darting above the surface of the water and watch wild birds coming to the waters edge to drink and bathe is a sheer delight. At night, bats will soon discover a rich source of food in the insects which live around the swimming pond. 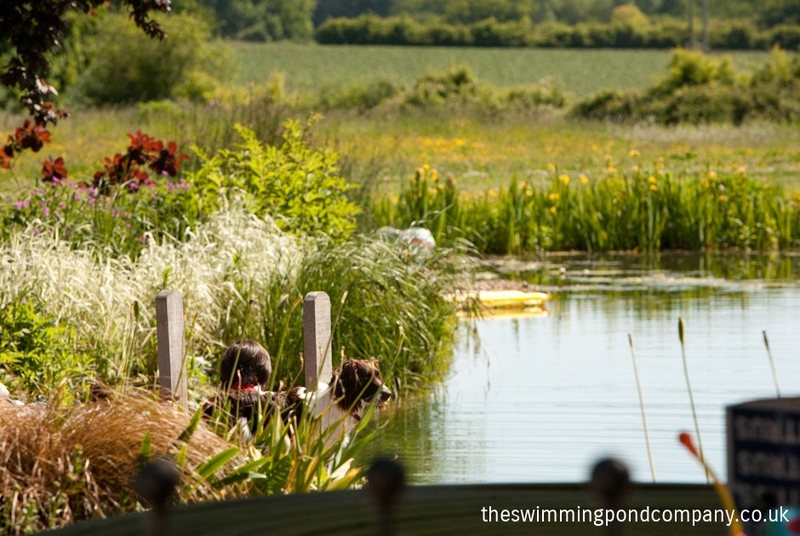 It should be noted that swimming ponds can be dangerous, professional advice should be taken, and that children should never be left unaccompanied near water.